The owls are not what they seem. In fact, maybe nothing is exactly what it seems. 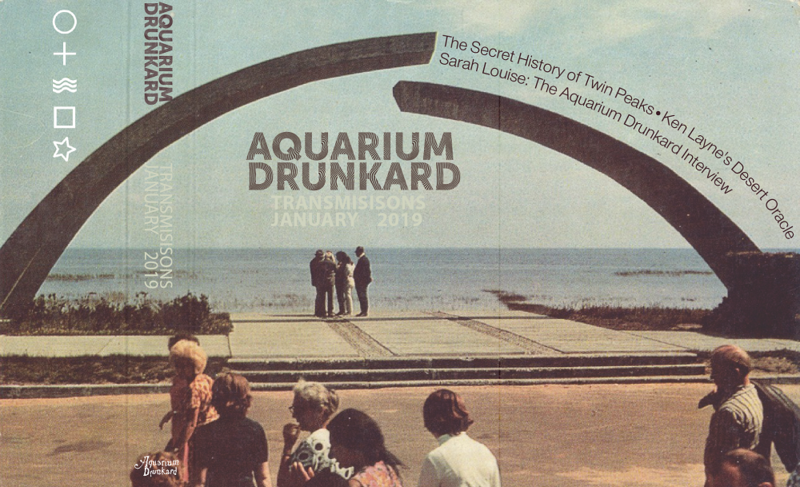 Welcome to the January 2019 edition of Aquarium Drunkard’s Transmissions podcast, our monthly audio digest of the strange, fascinating, and out there. In this episode— the first of the new year—your hosts Justin Gage and Jason P. Woodbury pay a visit to the Washington town of Twin Peaks, with a conversation about the cult TV show, its many mysteries, and its 2017 revival. 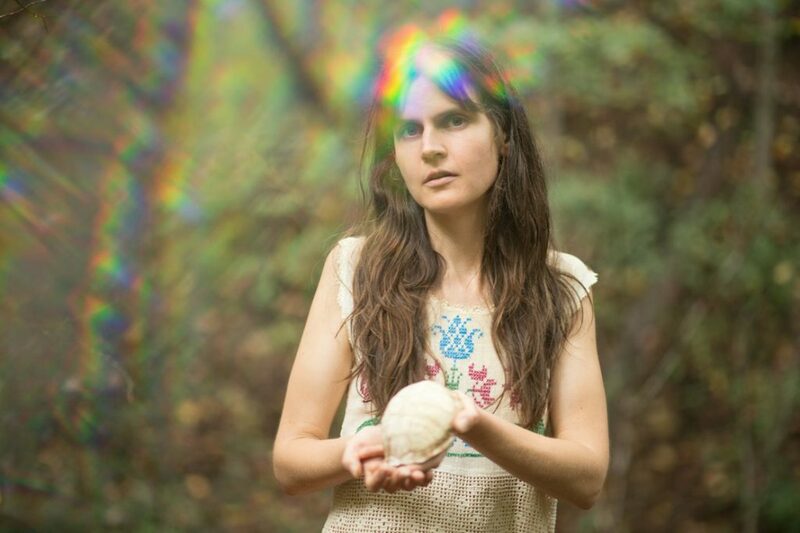 Then, a talk with guitarist North Carolina-based guitarist Sarah Louise, whose beguiling new record, Nighttime Birds and Morning Stars, will see release this week via Thrill Jockey Records. To close, Desert Oracle creator and editor Ken Layne joins us to discuss the cosmic vastness of the desert, and of course, Oumuamua, the first interstellar object detected passing through the Solar System. Does it signal the arrival of some faraway intelligence? What does it say about the unknown? And more pressingly, what does it say about our collective imagination? When David Lynch and Mark Frost’s Twin Peaks premiered on CBS in 1990, there was nothing like it. The saga, which veered from comedy to psychic drama to cosmic horror, sometimes within the same episode, hailed the beginning of an era during which television would become a format fit for auteurs. While it only ran two seasons—plus a film, Fire Walk With Me, released in 1992—the mythology it established proved an enduring one, the subject of spinoff books, audio tapes, and discussion in secretive corners of the newly established World Wide Web. In 2017, Lynch and Frost finally made another trip with Twin Peaks: The Return, a meditation on age, trauma, and possibilities. 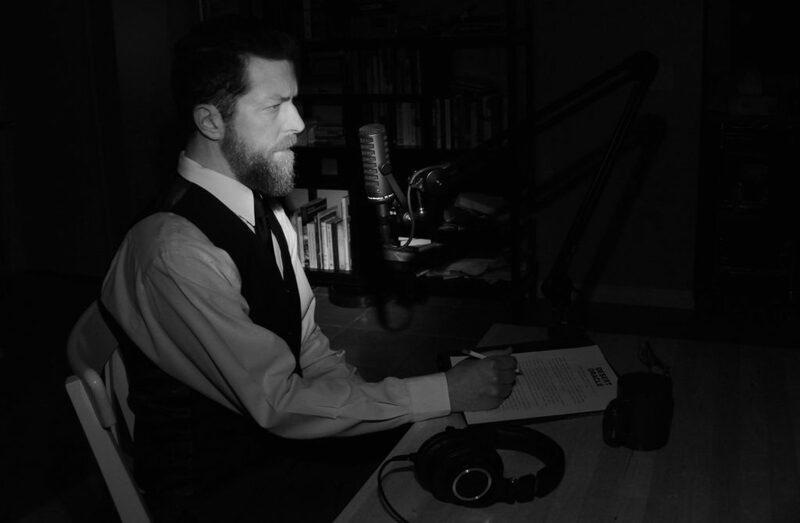 Here, co-hosts Justin Gage and Jason P. Woodbury discuss the show’s influence and impact, on the world of television, fiction, and music. If you enjoyed our show, please feel free rate and review on Apple Podcasts. Even better? You can personally tell a friend to check it out — by sharing the show via Spotify, Stitcher, MixCloud, or the TuneIn app. As always, tune into the weekly two-hour show on SIRIUS/XMU, channel 35, which can now be heard every Wednesday at 7pm PST with encore broadcasts on-demand via the SIRIUS/XM app. Collage image by Michael J. Hentz. Ken Layne photo by Laura Crane.